MiCOM generator protection relays provide flexible and reliable integration of protection, control, monitoring and measurement functions. The wide range of functions offered in this range provide complete protection and control. Their flexibility results in cost-effective solutions for an extensive list of applications. With their extensive functions, MiCOM’s six different generator protection models provide complete protection and control for a wide range of applications. These cover most installations ranging from small generators to sophisticated systems including generator-transformer applications and large variable speed double fed induction pumped storage machines. This range’s extensive protection functions meet the requirements for most generator protection applications. The MiCOM Alstom P391 injection, coupling and measurement unit can be used if rotor earth fault protection is required. They also offer flexible communications options with a number of protocols and communications ports available. 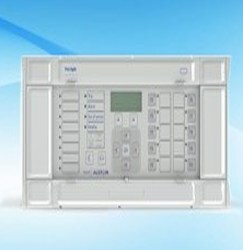 In addition their user-friendly Programmable Scheme Logic allows easy customisation of the protection and control functions. The P348 is designed to protect large variable speed double fed induction pumped storage machines. It provides comprehensive protection for the rotor (rotor frequency is typically 0.1-6Hz when running) and stator during the start-up, from 0.1 to 70Hz. The P348 includes new Peak and RMS protection algorithms to give fast and accurate protection for low frequencies. To measure the low frequency current and voltage signals Non Conventional Instrument Transformers (NCITs) are used with the P348. The P348 supports the digital substation with IEC61850 9-2LE for connection to NCITs and IEC61850 8-1 redundant Ethernet supporting self healing ring, RSTP, Dual Homing or PRP.